In a memo to tourists, China is warning citizens planning on traveling to the United States to keep watch over their surroundings at all times, avoid visiting U.S. hospitals without American health insurance, and to not venture out alone at night. According to the South China Morning Post, the Chinese embassy in the United States is warning tourists planning trips to the U.S. to be wary of shootings and theft, and to not get sick or injured lest a foreign visitor be gouged by the United States’ absurdly expensive healthcare system. Figures from Statista show that Chinese tourists are visiting the U.S. in ever-increasing numbers. Last year, more than three million Chinese tourists came to the United States, and more than 4.5 million tourists are expected to come to the U.S. by 2022. 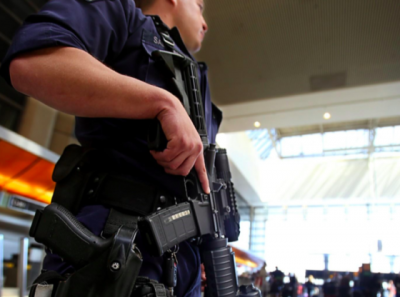 China’s warning to tourists– particularly about mass shootings — isn’t hyperbolic. According to the Gun Violence Archive (GVA), there have been 157 mass shootings in 2018 as of July 1 — just 181 days into this year. The GVA defines a mass shooting as a mass casualty incident caused by firearms in which at least four people were killed or injured, not including the shooter. There were 346 mass shootings in 2017, using the GVA’s numbers and methodology. The American and Chinese healthcare systems are also strikingly different. In a 2017 post for supChina’s Sinica series, author Jia Guo — who did not have health insurance — described having to pay approximately $2,000 for one emergency room visit for severe fever in which doctors didn’t do anything besides conduct an X-ray test, a urine test, and a blood test, and prescribe antibiotics, which Jia refused. According to Jia, a similar consultation in China would have cost roughly $35 USD. “My parents, who were visiting me from China at the time, couldn’t believe that a regular fever could result in all the procedures I was put through and how much everything cost,” Jia wrote.